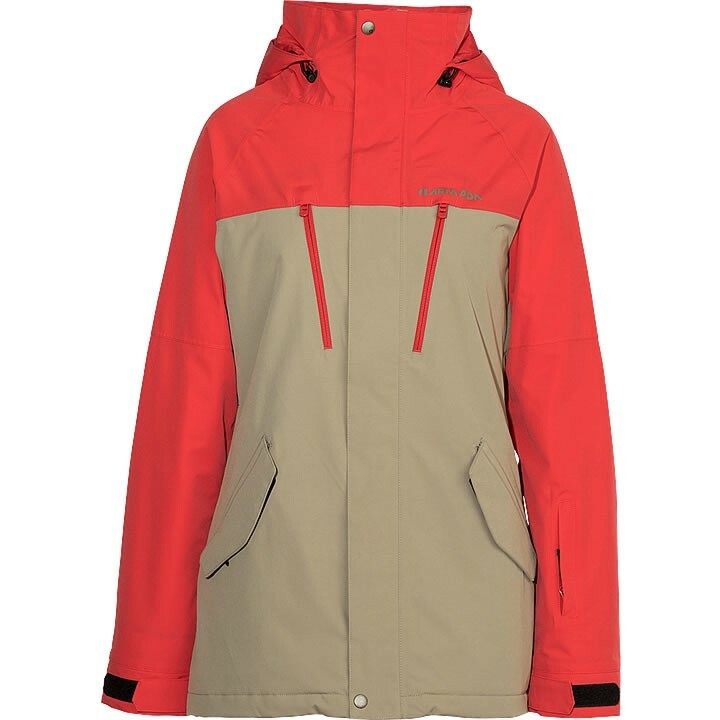 For the ladies that prefer a more tailored look, the women's Armada Stadium Insulated Jacket is here. 10k Waterproofing/Breathability combined with Polyfill Insulation and Embossed Tafetta lining will keep you warm and dry from winter Elements. A plethora of features, including wrist gaiters, goggle pocket, external-access music pocket, and stashable powder skirt, makes this your best friend on the hill.